In its most recent annual count, the Regional Task Force on the Homeless found an estimated 8,576 homeless people living in San Diego County. That’s the fourth largest homeless population in the nation. Of those, less than half (3,586) were in emergency shelters or transitional housing; almost 5,000 were living in cars, tents or wherever they could lay themselves down. There is no silver bullet or comprehensive solution to eradicate homelessness. Anyone who tells you otherwise is simply not being honest. 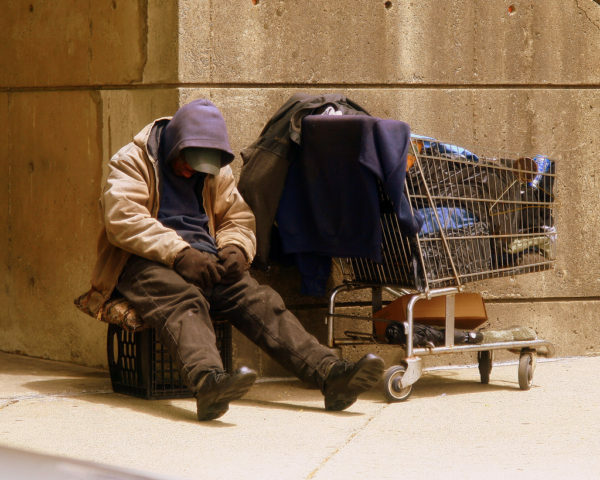 There are many underlying conditions contributing to homelessness that make it a complex issue – mental health, drugs and alcohol, and a lack of services for parolees, to name a few. Any strategy that addresses the root causes can help prevent people from experiencing homelessness, and prevention is a critical part of the solution. To that end I have co-written two bills in the Legislature with Sen. Jim Beall that aim to get mental health treatment for people coming into contact with law enforcement or leaving incarceration, to make sure these individuals are supported and don’t end up on our streets, disconnected from services to keep them and the public safe. Senate Bill 215 would create a new court-ordered, pre-trial diversion program for lower-level crimes when the defendant suffers from a mental disorder that played a role in the commission of the crime and the prosecutor and judge agree that the defendant could benefit from mental health treatment. (Most DUIs would not be eligible.) The defense would be required to arrange treatment satisfactory to the court, the treatment program could last up to two years and regular status reports on the defendant’s progress would be mandatory. This program would provide people with mental illness the treatment they need instead of warehousing them in jail. Jails are not therapeutic places, nor are they designed to be and it’s unfair to our public safety officers to expect them to double as crisis mental health professionals. SB 215 would provide a tool for the courts to use when treatment is recognized as the best option for both public safety and the defendant. SB 215 will in part help get those mentally ill people living on the streets who come into contact with law enforcement over lesser crimes receive the treatment they desperately need. Senate Bill 1010  would create a pilot program between the state Department of Corrections and Rehabilitation and participating counties to provide supportive housing to parolees with mental health needs. Of course there will always be mentally ill offenders who in the interest of public safety are sentenced to prison but ultimately will be released one day. As the person transitions off parole, under this bill participating counties would provide community-based mental health treatment and rental assistance and services using Mental Health Services Act funds. Parolees in general have difficulty finding a home, and mentally ill parolees have even greater difficulty. Numerous studies have found that homeless parolees are far more likely to reoffend than those who have a home. SB 1010 aims to break that cycle by providing parolees experiencing homelessness or at risk of homelessness the mental health support and stable environment they need to successfully re-enter society and not reoffend. Most prisoners serve their time and are ultimately released from prison. It makes sense to invest in programs like transitional housing that will provide them stability as they re-enter society. Helping parolees return to being contributing members of the community lowers the likelihood that they will end up homeless or reoffend. Our jails and prisons have become de facto mental health facilities, a fact that serves no one well. The homeless who are mentally ill are a danger to themselves and others, and we should focus on getting them help instead of locking them up. We need to give law enforcement and the courts the appropriate tools to do what’s in the best interest of public safety. We also need to provide sustained behavioral and mental health treatment and stable housing that’s tied with safety net services. Homelessness is a huge problem affecting our community and our local economy – it’s one of the issues I hear about most from my constituents. There are many efforts underway at every level of government and nonprofit agencies across the county to tackle the problem, and these two bills are a piece of that puzzle. — Joel Anderson is a state senator representing District 38. Your recommended solutions focus on incarceration or post incarceration where currently many services exist. What are your solutions to prevent the mentally ill from falling into the criminal justice system in the first place? Stop criminalizing homelessness and the mentally ill.